Hook 'em Horns! 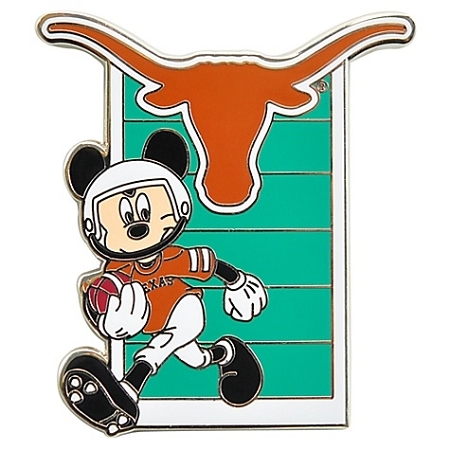 The running back with the ears is taking the pigskin across the gridiron on this NCAA Football Texas Mickey Mouse Pin. The University of Texas Longhorns' newest player is getting ready to greet Bevo when he scores.